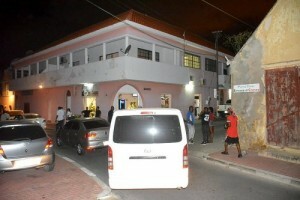 WILLEMSTAD – Last Saturday during the late hours of the night, the Ministry of Economic Development together with the Tax Accountants Services, Social Insurance Bank, Police authorities and the Department of Immigration once more inspected several businesses on the island. These inspections were directed towards operation permits and also undocumented immigrants that work in these businesses. A total of 24 undocumented immigrants were arrested during these actions. Four of these businesses were closed because they did not have the necessary permits to legally operate. The undocumented were all transported to the barracks at the prison pending their deportation.